Happy New Year from the Liau Lab! It’s been quiet in the lab the past few weeks, but we’re starting to get into the gear of the new year. In the spirit, however, of holiday season reflection (and since a blog post is severely overdue!) we’ll be taking a look at some of the highlights of fall 2018. Buckle in, cause it’s gonna be a long ride. First up, the Mid-Autumn Festival! The group celebrated with some tea and mooncakes, courtesy of Cindy. Not too long after that came another reason to celebrate, when Ally passed her preliminary qualifying exam! Congratulations, Ally! For Thanksgiving, Brian graciously welcomed us to his home for a potluck party. As with all potlucks, the quality of the experience is only as good as the quality of cooking your guests can achieve, but luckily for us, we have lots of talented chefs in our lab! …it was a fun night. Of course, in addition to all this eating, we did manage to get some work done. Our lab loves next-generation sequencing, but it’s not every day that we buy a brand new kit. As Kevin found out, they come packaged in huge boxes. Big boxes for big science, right? As many of you might know, one big focus of our lab is studying the 3D organization of the genome. It’s not something you think about every day, but how the cell fits 2 meters of DNA inside its nucleus is pretty mindblowing. We got the opportunity to share our science with local students, crafting some interactive displays to help illustrate what we do and why we do it. Thank you to the Harvard Ed Portal, and to Brian, Shelby, and Allison for organizing this! And here we are, at the beginning of another year. As we all try to shake off the holiday stupor and get back to work, one thing’s for certain: the new year has much more food in store. 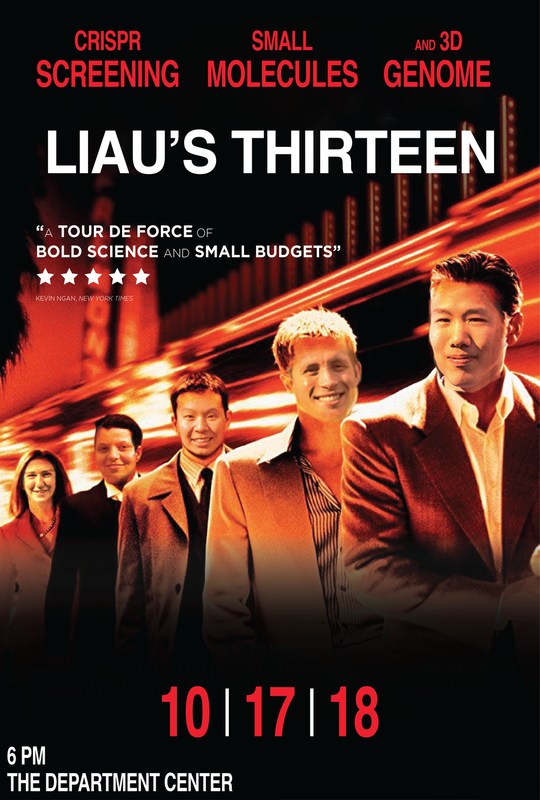 After all, we are the Liau Lab. Charging head first into the new year. It's been a while since our last blog post, but that's not to say the last few weeks haven't been eventful. Besides running experiments, making figures, and submitting grants, we've been up to a lot. Check it out below! 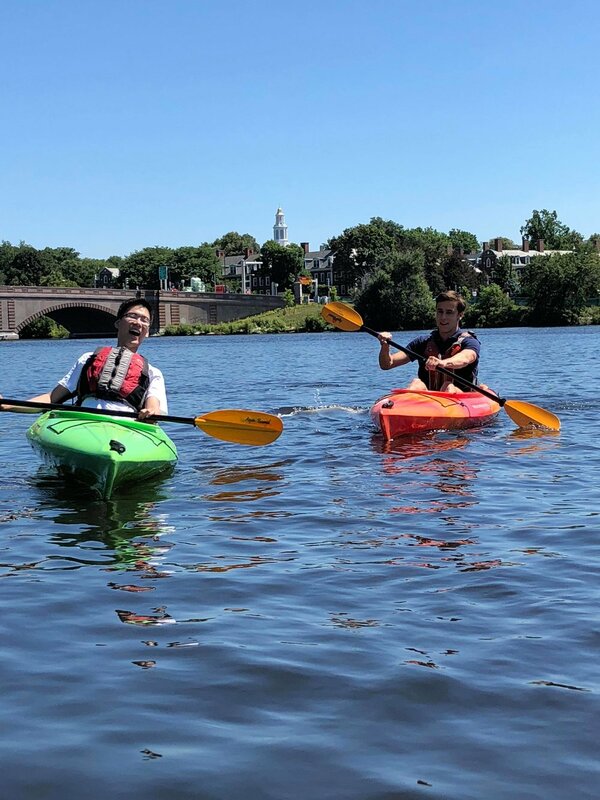 With teaching, classes, rotators, and more awaiting at the start of the academic year, the lab celebrated the waning summer days with a trip out of Cambridge to get dim sum and boba. Despite the challenge of identifying vegetarian-friendly items (not trivial when it comes to Chinese food), we all left with full stomachs. It was even some people's first time trying boba! As August turned into September, we had another festive occasion: Amanda's birthday! Since she's not a huge fan of cake, Brian bought some pies from a local bakery, Petsi Pies, to help celebrate. It's been quite an eventful week. 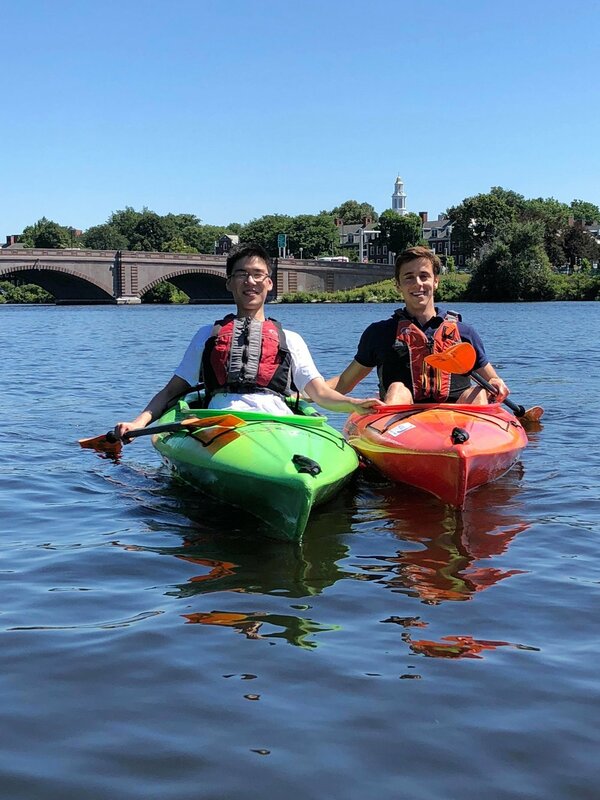 Between reorganizing group responsibilities, cleaning the lab, kayaking on the Charles, and engaging in gluttony in the backyard of Harvard Divinity School, our stamina has truly been tested. However, despite the strain on our minds and backs, we all had a blast. Kevin rests his aching body during the cleanup. First up on the docket: reorganizing and cleaning the lab. Although fighting entropy is no small feat, we were fortunate that our very own Kevin Ngan was among those leading the charge. Several meetings and a full day's worth of cleaning later, we ended up with a myriad of spreadsheets, room upon room of labeled drawers, and a defrosted -80˚C freezer to show for our efforts. To gather supplies for our upcoming barbecue, we naturally turned to Costco. It was quite the adventure. We bought a lot of food. 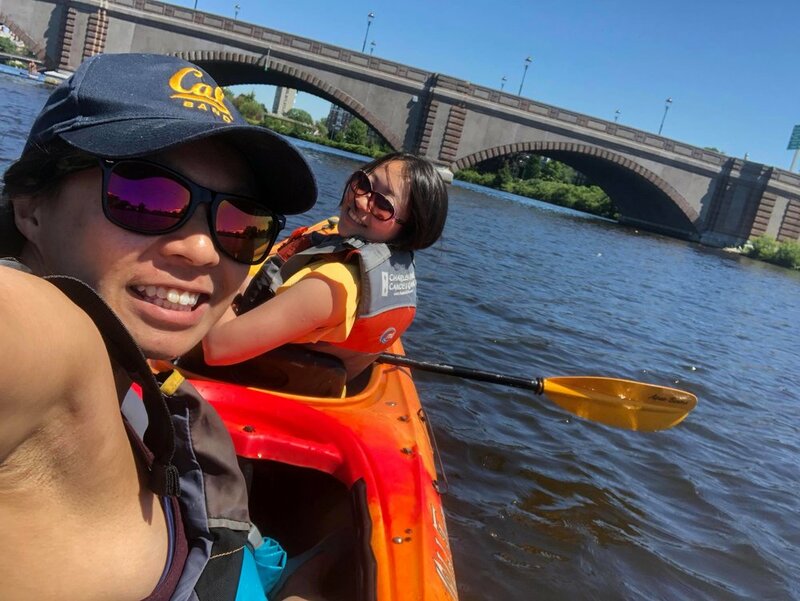 Next, taking advantage of the summer sun, we went kayaking on the Charles River. With the barbecue looming later that night, it was probably a good idea to get some exercise in. Many thanks to Ally for spearheading this outing! The group poses on dry land. The group poses not on dry land. The boss kicks back while the grad student rows. Of course, the highlight of the week was our potluck barbecue. While our lab is normally fairly health-conscious, we put aside our better judgments to enjoy the night. ...and if you're not tired of seeing our faces, check out the rest of the pictures below! Another week, another box of doughnuts, this time as a reconciliation gift from our chronically late pipette tip supplier. Naturally, we slapped it on our panini press. We slapped some doughnuts on our panini press. Figure 1. We consume a lot of sugar in this lab. Figure 3. Image is representative of two independent experiments. The results of this study are highly promising, indicating that this method may have widely applicable utility. Future studies will assess how panini press grilling influences the enjoyability of alternate flavors of doughnuts, as well as other dessserts.